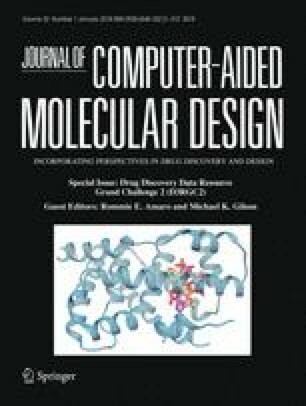 The Drug Design Data Resource (D3R) ran Grand Challenge 2 (GC2) from September 2016 through February 2017. This challenge was based on a dataset of structures and affinities for the nuclear receptor farnesoid X receptor (FXR), contributed by F. Hoffmann-La Roche. The dataset contained 102 IC50 values, spanning six orders of magnitude, and 36 high-resolution co-crystal structures with representatives of four major ligand classes. Strong global participation was evident, with 49 participants submitting 262 prediction submission packages in total. Procedurally, GC2 mimicked Grand Challenge 2015 (GC2015), with a Stage 1 subchallenge testing ligand pose prediction methods and ranking and scoring methods, and a Stage 2 subchallenge testing only ligand ranking and scoring methods after the release of all blinded co-crystal structures. Two smaller curated sets of 18 and 15 ligands were developed to test alchemical free energy methods. This overview summarizes all aspects of GC2, including the dataset details, challenge procedures, and participant results. We also consider implications for progress in the field, while highlighting methodological areas that merit continued development. Similar to GC2015, the outcome of GC2 underscores the pressing need for methods development in pose prediction, particularly for ligand scaffolds not currently represented in the Protein Data Bank (http://www.pdb.org), and in affinity ranking and scoring of bound ligands. The online version of this article ( https://doi.org/10.1007/s10822-017-0088-4) contains supplementary material, which is available to authorized users. This work was supported by National Institutes of Health (NIH) grant 1U01GM111528 for the Drug Design Data Resource (D3R). We also thank OpenEye Scientific Software for generously donating the use of their software. RCSB Protein Data Bank is supported by NSF, NIH, and DOE (NSF DBI-1338415). The contents of this publication are solely the responsibility of the authors and do not necessarily represent the official views of the NIH. MKG has an equity interest in, and is a co-founder and scientific advisor of, VeraChem LLC. REA has equity interest in and is a co-founder and scientific advisor of Actavalon, Inc.; VAF has equity interest in Actavalon, Inc. and PW has an equity interest in Relay Pharmaceuticals, Inc. In August 2016, VAF joined Schrodinger, Inc., and after that point was no longer involved in D3R activities. In June 2017, SL joined Silicon Therapeutics, Inc., and after that point was no longer involved in D3R activities.